Set oven to 350 degrees. In a mixing bowl, combine cream cheese, 1/4 cup sugar and vanilla; beat until light and fluffy. Beat in 1 egg; spread mixture in the unbaked pastry shell. Combine pumpkin, 1/2 cup sugar, salt, cinnamon, ginger and nutmeg. Blend in the 2 beaten eggs and milk. Pour pumpkin mixture over cream cheese layer. Bake for about 50-60 mins, or until set. Cool pumpkin pie thoroughly. 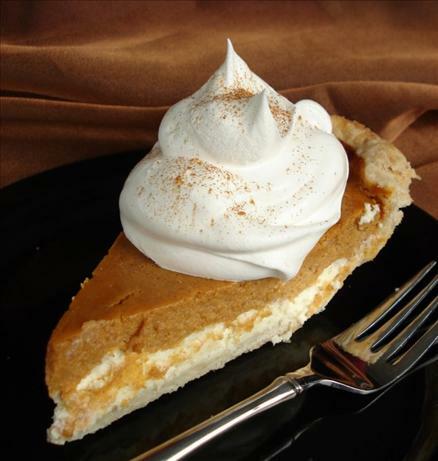 Top with whipped cream if desired.